Breaking news! A month later, and my coppa is done! And it is delicious! A little heavy on the cloves, but deeply flavorful, gorgeously marbled, and perfectly textured. Now how to get rid of a whole stick of meat? Holy cow, er, pig! That looks fantastic. I haven’t done coppa yet, but it’s my next project. 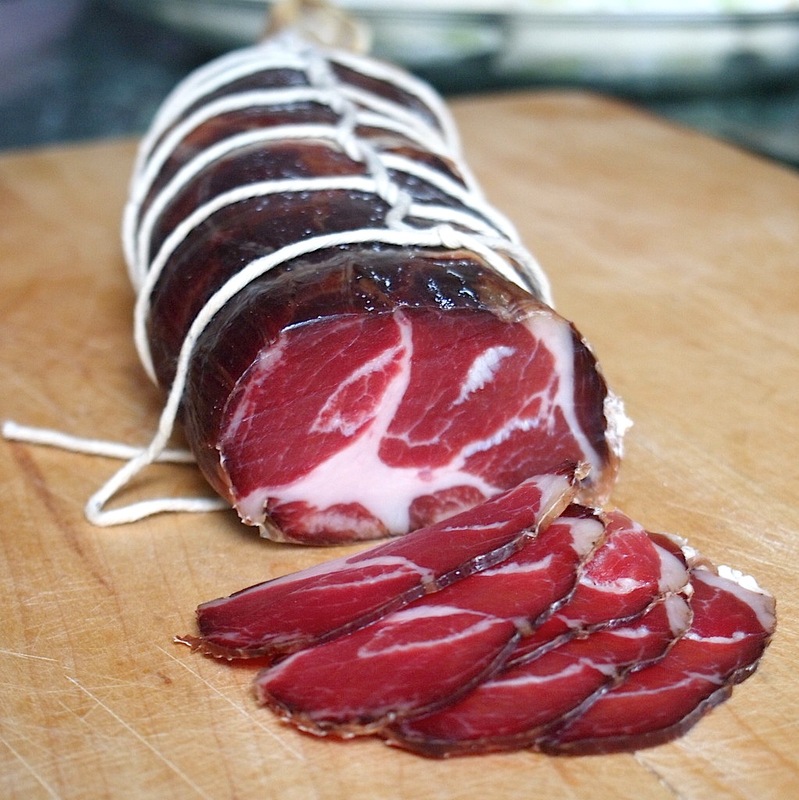 Bresaola has been my fallback because of that thing of Ruhlman’s about the pieces stuffed into casing, which just sounded like an opportunity for me to kill someone. Love Matt’s recipes, shoulda looked there. Thanks for two great posts and a rocking photo up there. Seriously. Awe-some.